Whether your Honda Accord is slightly used or brand new, installing a set of custom wheels is always a good idea, especially if you're not entirely satisfied with its factory look. 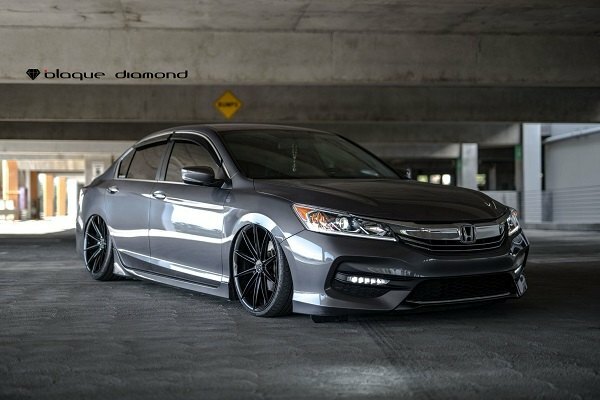 Once you start the process of modifying your Accord and searching for a perfect set of rims, you might sink in the tons of options available. CARiD Inspiration Gallery will help you to find what you're looking. 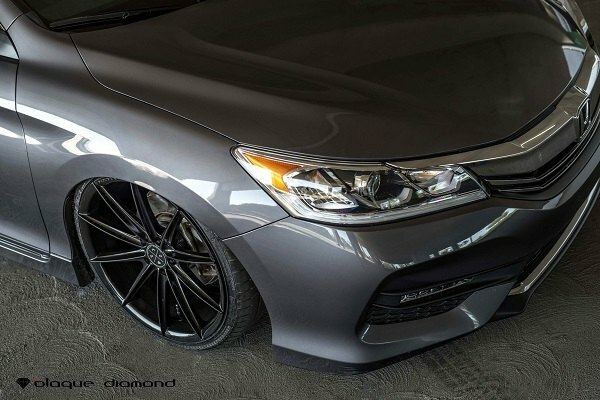 After the first look at the Asphalt Gray Honda Accord, rolling on BD-9 Gloss Black Blaque Diamond Wheels, you'll definitely want to see them on your ride! 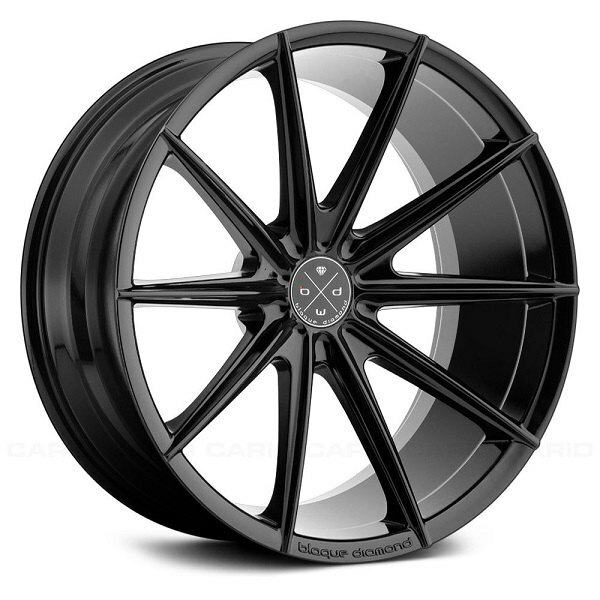 These wheels will become a sleek and sporty upgrade for your Accord, while taking its handling and driving comfort to the next level. Being also lighter than the regular cast wheels will also improve the handling and acceleration. 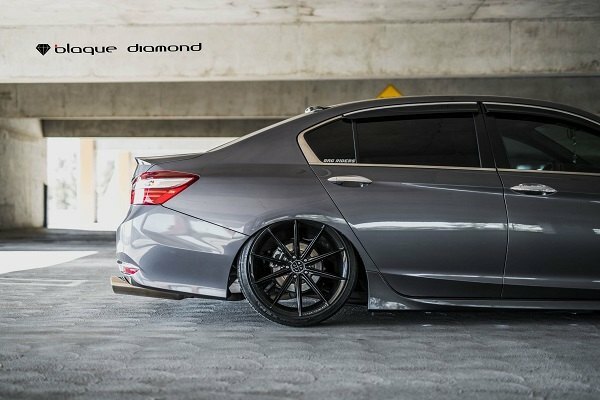 Improve the looks of your Honda Accord - upgrade it with a set of Blaque Diamond Wheels! Used 1999 Honda Accord EX Sedan 2.3 car - Must See! 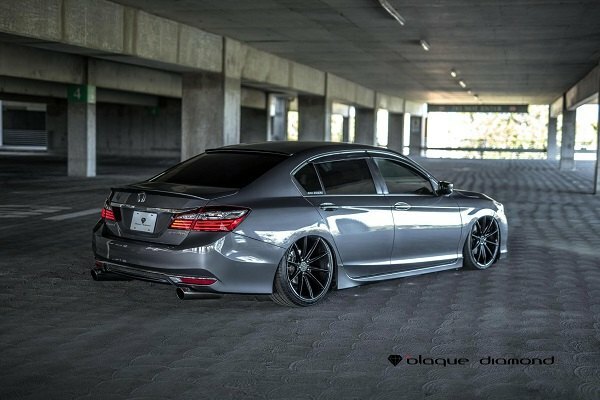 Quick Reply: Must-See: Blaque Diamond Wheels on Honda Accord!